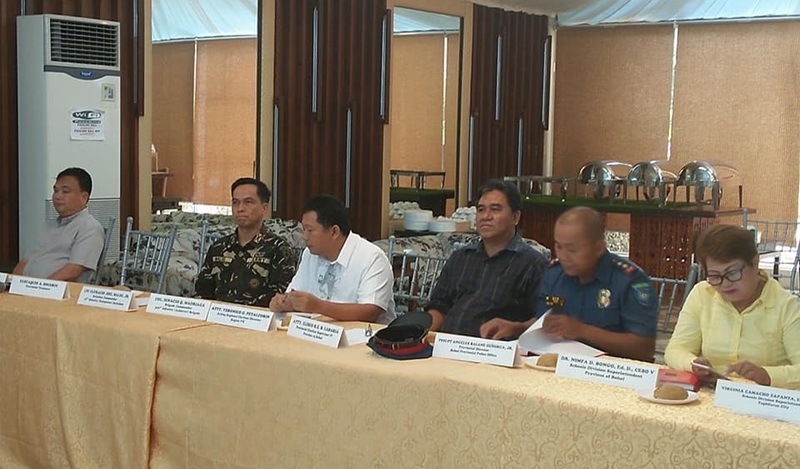 Officials from the Commission on Elections, Philippine Army, Bohol Provincial Police Office and various agencies hold a joint command conference at the Panda Tea Garden in Tagbilaran City to report on preparation progress for the upcoming barangay and Sangguniang Kabataan polls. Preparations for the barangay and Sangguniang Kabataan (SK) elections in Bohol are now “90 percent” complete, said a Commission on Elections (Comelec) official less than two weeks away from the polls. Comelec Bohol election supervisor Atty. Elesio Labaria in a joint command conference on Wednesday reported that various agencies have completed security preparations for the May 14 elections. The Bohol Provincial Police Office (BPPO) and military in particular are ready to be deployed to key areas in the province to maintain peace and order during the election and the days leading to it. Bohol police personnel will be stationed across voting precincts in the province and assigned to safeguard the transport of election supplies, said BPPO director Sr. Supt. Angeles Genorga. According to Labaria, the ballots are set to arrive in Bohol on Thursday and Friday. These will be immediately transported to the Provincial Treasurer’s Office, he said. Meanwhile, around 8,000 teachers from public and private schools are set to undergo training in carrying out the manual elections. Provincial Health Office chief Dr. Reymoses Cabagnot for his part said that public hospitals have been readied to immediately respond to any medical needs of poll workers. According to the Comelec, campaign period will officially start on Friday and end on May 12, two days before the elections. The polls are expected to draw hundreds of thousands of people as 879,919 Bohol residents were able to register as voters for the upcoming elections.